For nearly two decades, Bill Meehan has taught a course on the strategic leadership of nonprofit organizations at Stanford Graduate School of Business (GSB). Kim Jonker has taught courses on that subject at GSB as well. 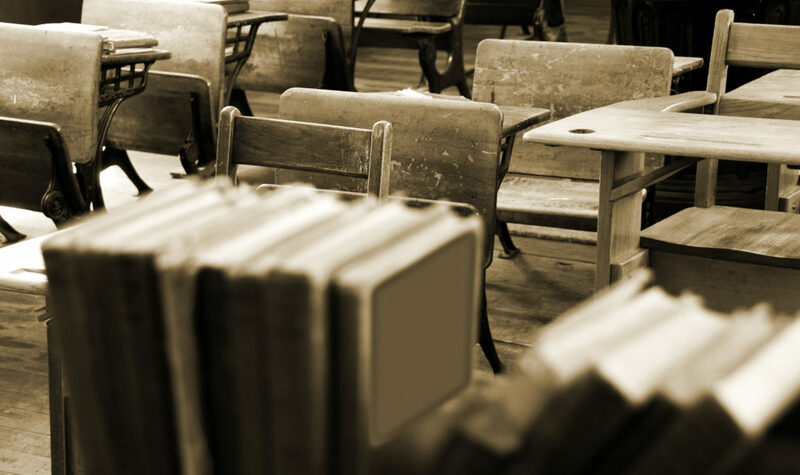 Below are links to copies of two syllabuses that Meehan and Jonker have used in these courses. The authors have adapted these syllabuses to include references to relevant sections of Engine of Impact. For his course, Meehan and his colleagues (including Jonker) have developed in-depth case studies on a wide range of social sector organizations. Below are links to information about case studies on organizations that appear in Engine of Impact. In writing the book, Meehan and Jonker drew extensively on this body of material. These case studies are available for download by current GSB students, as well as faculty and staff members of the school. Educators may purchase copies of these cases through Harvard Business Publishing or the Case Centre. 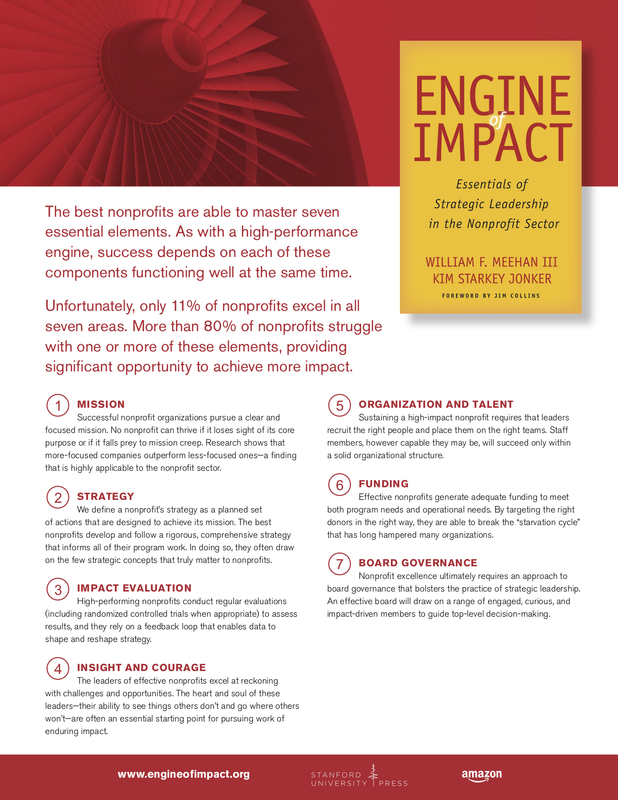 Also below are links to information about other case studies on organizations that appear in Engine of Impact. These cases, all published by Harvard Business School, are by a wide variety of authors. Educators can inquire about accessing these cases through Harvard Business Publishing. The Readiness to Scale Matrix is a visualization of the different categories a nonprofit might find itself in, based on its stages of development of the essentials of strategic leadership. Drawing upon concepts of Engine of Impact, Bill Meehan and Kim Jonker share the 8 questions critical to consider when starting a social venture.